Looking for private in-home or in-studio Improv Acting classes? Our Haltom City teachers are ready to get you started. Find your teacher today! I have spent four seasons training with Second City Improv in Chicago and 20 years training actors in these skills. I am a director, teaching artist, producer, and sometimes actor who has lived and worked in Philadelphia for the past 15 years. I'm the Co-Artistic Director and founding member of ReVamp Collective, a Philadelphia based feminist-centric theatre company. I've taught with Walnut Street Theatre, Lantern Theater Company, Theatre Horizon, Delaware Theatre Company, and Philadelphia Theatre Company. I received her BA in Theatre from Temple University with a minor in Art History. I've not only been an actor, but a director/producer, as someone who has been on both sides of the table I know what directors, casting directors and producers are looking for as well as knowing what it is like to audition as an actor. I am a director, teaching artist, producer, and performer who has lived and worked in Philadelphia for the past 15 years. I'm the Co-Artistic Director and founding member of ReVamp Collective, a Philadelphia based feminist-centric theatre company. I've taught with Walnut Street Theatre, Lantern Theater Company, Theatre Horizon, Delaware Theatre Company, and Philadelphia Theatre Company. I received my BA in Theatre from Temple University with a minor in Art History. Everyone is different which means that everyone’s career will take a different path. That is why I not only offers actor coaching, but career coaching; resume/headshot review, where to submit, protocol before and after the audition, how to self-produce your own work, and anything else you may need or want to know. I love working with students and finding what works for each individual. Actor training is amazing for public speaking, critical thinking and problem solving. I love watching my students grow and expand. Hi! I play Marty on the Golden Globe winning show Crazy Ex-Girlfriend. I am a graduate of The Upright Citizens Brigade and have been teaching improv for 5 years. Improv is an incredible tool for freeing us to build and find exciting choices in all our work. Whether you're looking to strengthen your commercial, television, film, theater or public speaking techniques, you'll soon love leaping "without a net". Prepping an audition for an upcoming show or for admission into an acting program? Want to hone and develop your audition monologues (especially Shakespeare)? Just need a coach to help you take your acting to another level? Then let's get started, online or in person. I can help. I've been working as a professional actor in the theatre and on-camera for over 25 years. I've performed with the Shakespeare Theatre in DC, ACT Theatre in Seattle, Book-It Repertory, Seattle Shakespeare Company, and Shakespeare Santa Cruz to name a few. I've also been the featured voice in voiceovers for companies like University of Washington Medical, Golden 1 State Credit Union, Microsoft, and Surface Pro 3. On Camera Credits include short films, industrials, and commercials for Taco Time, Tulalip Casino, and Washington Dental Association. I've been performing roles in the theatre and on-camera for over 25 years. My BFA in Acting and Directing and my MFA in Classical Acting have afforded me a wide variety of tools and skills to employ in the craft of acting. Performing with professional repertory companies like ACT Theatre, Book-It Repertory, Shakespeare Santa Cruz, and the Shakespeare Theatre in DC, I've gained personal knowledge of the art, craft, and business of being a working actor, which I will put to work for you, in a personalized one-on-one coaching session, either online or in person. Here's how I can help. 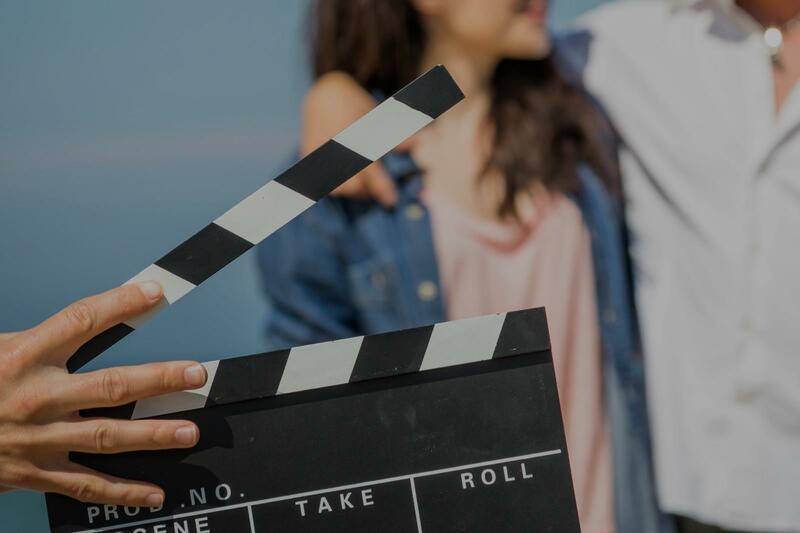 r, work on the clarity of your choices and active objectives, and access your personal connection to the material so you'll be ready and confident with a one-of-a-kind performance that reflects the strengths you bring to acting and the story you want to tell. SHAKESPEARE: Perhaps the most daunting of styles for a contemporary actor, we'll get down to the nuts and bolts of some of the most challenging (and rewarding) material. The famous soliloquies are famous for a reason and can certainly be intimidating, and more obscure material can seem thick and inaccessible. We'll chip away at the mystique of Shakespeare by digging in to the text and verse, activating the language with specificity, and cultivating your personal take on well-known characters or lesser known material they might not have seen before. DIALECTS AND ACCENTS: From English to Irish to Southern American and beyond, a well executed dialect can be the edge you need to land (and play) that meaty role. I use a multipronged approach that involves ear training to develop an authentic sound, text analysis for clarity of sound substitutions (IPA Proficient), and exercises that pare away stilted and unnatural speech to cultivate an authentic sounding voice that will be your own. VOICEOVER: I've been booking voiceover gigs on TV, radio, and the internet for over 10 years with clients like Microsoft, Liberty Mutual, UW Medicine, Tableau, Reno Toyota, and Golden One State Credit Union. I can offer tips and tricks of the trade, as well as techniques that can take your VO submissions to the next level and help you book these lucrative contracts. ACTING is just not the art; it is the movement, the audience, the text and the drive for those looking to begin working in professional environments. Students enrolled in ACTING: Journey will find new ways to analyze, respond and incorporate text, movement and various other skills needed for stage work. I trained at the same school as Jesse Tyler Ferguson (Modern Family), Ray Fischer (Justice League), Tyne Daly (look her up, you won't be sorry) and Jason Derulo. I am well versed in dialects, American Standard, stage combat (armed and unarmed), film acting, acting for stage, classical, acting and more! Even if you just want to work on a monologue. Im happy to help! I've been a working actor both on stage and screen for almost three years now, but let's be real. We all need a side hustle. I can even help you with learning how to self-produce/promote on a budget. Students are raving about their Improv Acting instructors on TakeLessons. Check out some of these recent reviews. "LK is very knowledgeable and helpful. She didn't mind that I had no experience at all!" Dallas, TX teacher: LK F.
"I think I would like to change to Theater Acting." nting to take classes in the first place is because I am always being told that people cannot hear me when I talk. Also I have always wanted to take acting classes. Please let me know if you think this is the best class to take if I try to pursue Theater Acting, or Film Acting in the future. Thank You, Laura Boys RPH"